Overachievers may get a bad rap, but in my experience it’s lucrative to be one. Don’t worry about what people think when you’re studying hard, taking extra circulars, and signing up for extra credit. Your GPA, portfolio from art class, and if you were the star in your school’s spring musical, all count towards different merit-based scholarship and grant opportunities. So, study hard and have fun while you’re at it. Who knows, you may be the next Emma Watson!? Learn from Emma, who didn’t sit back on her Harry Potter film fame, but also got a degree from Brown in the process. And, if turns out your career in Hollywood is not going to happen, you’ll always have a back-up plan to getting free money for school! The financial aid process with all its timelines and forms, is just as complex (if not, more) as doing your taxes. Similar to how most people don’t go out of their way to get certain deductibles, opportunities may be missed for free money for school. Get creative in your search for scholarships and grants. Money may not grow on trees, but you’d be surprised at where it can come from! Search your local community, your parent's place of employment, and the websites listed below. Think of it like searching for buried treasure! Don’t forget to mark your calendar for October 1st each year, (when you can submit your FAFSA) to get money that’s first come, first serve. If you’ve exhausted all your opportunities for free money. Taking out a loan for school may be your next best option. If the idea of taking on more debt is not appealing- I don’t blame you. The good news is taking out debt for school can be beneficial and done responsibly. Financial aid advisors are there to help. They will stress only taking out what you need and help give you the tools and knowledge to manage your school debt the right way. Take advantage of their knowledge and resources that will support you on your journey to paying off your student loans. There are great blogs, budgeting tools, and people like me that can assist as well! 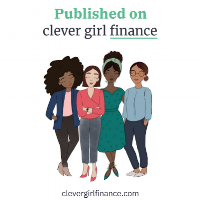 A couple I recommend are Clever Girl Finance, and of course my book, that will help you pay off that debt in no time, so you don’t have to stress.